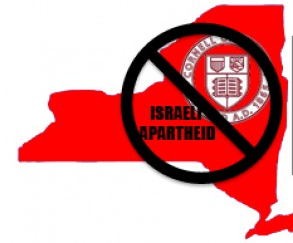 Blog to End the Occupation: No to Technion in NYC Action! Join us on the first day of Cornell NYC Tech classes to leaflet and gather signatures. Classes are to be held in donated temporary space at the Google offices until the main campus opens on Roosevelt Island in 2017. NYACT will be distributing information outside the Google offices about The Technion’s involvement in developing remote controlled bulldozers, stealth drones, and protection systems for battle tanks used by Israel to destroy Palestinian houses and olive groves, assassinate Palestinian civilians, and rain terror from above in Gaza, as well as The Technion’s ongoing collaborations with major surveillance and weapons manufacturers. Say No to Technion in NYC! Sign the petition here: http://www.gopetition.com/petitions/no-to-technion-in-nyc.html. For more information go to www.NYACT.net or email NYACT@riseup.net.